This lounger is made out of several different types of wood, the panels along the side are tied with what looks like bamboo string. The seat is made out of hand woven wood. 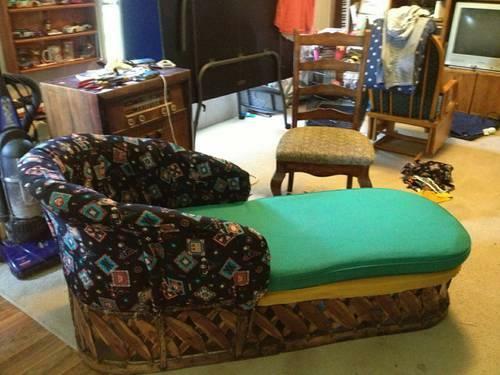 It has been upholstered and they added a cushion. Never seen anything like it.